Today I felt a bit of un-ease as I began my morning. 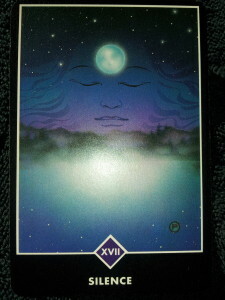 I drew a card from the Osho-Zen Tarot to connect with the unease and drew card XVII (The Star), which in this deck is called “Silence”. It shows a picture of a beautiful starry night sky with a face that seems to become the sky itself, and a bright moon reflecting in water below the face. This reminds me that I am the sky. I am the consciousness in which all things arise and disappear, I am what is always present. All elements are represented- earth , water, air, and fire, yet I am the space in which these things manifest. I am not the manifestations. As I look at the reflection of the moon, I realize that my sense of unease comes from a sense that I am being judged by others. This card reminds me that in judging me, others only see the reflection of who I am in their own minds, but this is not me. The reflection of the moon is not the moon itself. What others think of “me” has nothing to do with who I really am, whether “positive” or “negative”. Who I am can never be judged, it is beyond judgment. I am that which contains the sea, and the sky, and the fire of stars, beyond any concept of the mind. Just to check, I search for the sense of unease I was feeling… I cannot find it! 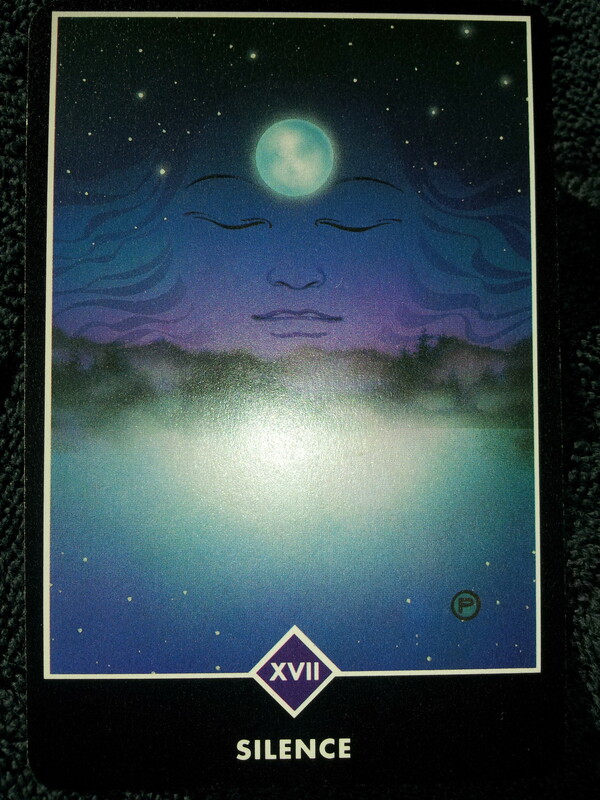 This entry was posted on Friday, December 6th, 2013 at 6:39 pm	and is filed under Tarot Today. You can follow any responses to this entry through the RSS 2.0 feed. You can leave a response, or trackback from your own site.